about this book: I am a practicing patent attorney, and in recent years I have been concerned about the challenges small inventors face when attemtping to protect their ideas. For example, it can cost $30,000 and 5 years to get a US patent. This makes it nearly impossible for small inventors to play in the patent game. I wondered whether it was always this difficult. What I found was shocking. During the nineteenth century, the invention rate in America was twice the current rate. But even more important, I uncovered many facisnating stories about famous Americans that have largely been overlooked. Why Has America Stopped Inventing? tells their stories. The book follows Jefferson refusing to waste any more weekends examining patent applications, Whitney being robbed of his fortune while the South's wealth exploded, the patent models that kept British soldiers from burning Washington's last-standing federal building, the formation of Lincoln's cabinet, and Selden crippling the entire U.S. Auto Industry. 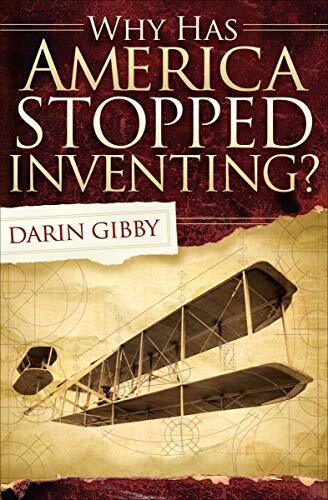 It also tells the story of the Wright brother's airplane monopoly, the Colt revolver's role in the Mexican American War, the Sewing Machine wars, the last six months of Daniel Webster's life, and the controversy behind the Bell telephone patent.